Edward Kuster, former husband of Una Jeffers (c. 1901 – 1913) moved permanently from Los Angeles to Carmel in 1921. After 21 years as a successful attorney in southern California, Kuster would now put all his efforts into his real passion - Theatre. With an upper case “T,” please. When Edward Kuster arrived in Carmel, he was thrust in to the middle of a personal dispute that had been going on for almost 10 years between Herbert Heron and Perry Newberry. Heron who founded the Forest Theater in 1910 worked and acted amicably for two years alongside Newberry before a feud ensued regarding Bertha Newberry’s rights to the play “The Toad,” which she had submitted as an original piece for the 1912 Forest Theater season. “In 1921 Heron was the director of the principal 1921 Forest Theater production, “The Countess Cathleen.” At his request I (Edward Kuster) composed and orchestrated the music for the play. While I was engaged in this Perry Newberry advised me to drop it, stating that without co-operation Heron’s production would fail, and that it was better that the Forest Theater should “commit suicide” that summer, so that a complete re-organization could take place. With Kuster’s success in the production of “The Countess Cathleen,” the Board of the Forest Theater Society elected him President of the Board in 1922 and director of their principal play “Caesar and Cleopatra,” the same year. The set on the Forest Theater stage was dominated by a large replica of the Sphinx designed by artist Jo Mora. Carmel citizens were not pleased with Kuster, as he had masked their beloved pine trees, the symbol of the Forest Theater, with his elaborate stage sets for this theatrical production. In 1923 Edward Kuster designed his indoor theater, and hired Lee Gottfried to build the structure. He set his theater in the rear of a courtyard in the newly burgeoning city center of Carmel off the south side of Ocean Avenue between Lincoln and Monte Verde. This was no ordinary theater it was filled with special features such as: a music pit under the fore-stage, a rolling sky-dome, and a multicolored lighting system operated from a light booth set high in the rear of the auditorium. The fore-stage projected far into the auditorium in a semi-circle. Four hundred comfortable wicker chairs rising tier after tier would be used instead of the usual folding theater seats. To enhance the Old European feel, Kuster added a few more shops. He moved the Carmel Weavers Studio (built by Lee Gottfried) from the southeast corner of Dolores and Ocean to the front of his new theater in 1923. A ticket booth was added to the back. ...with its miniature turrets (now the Tea Rose Collection) in 1923. 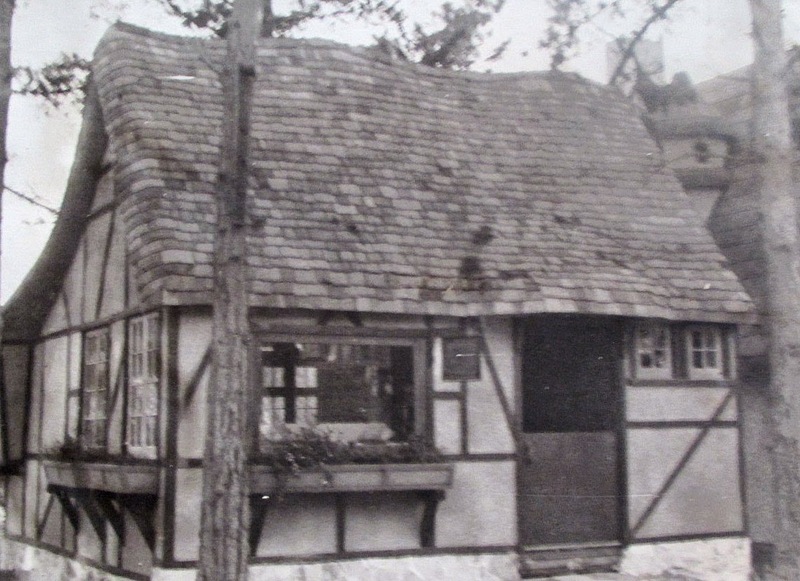 To round out the courtyard he had Lee Gottfried build the Tudor Revival building (now PortaBella Restaurant) in 1925. 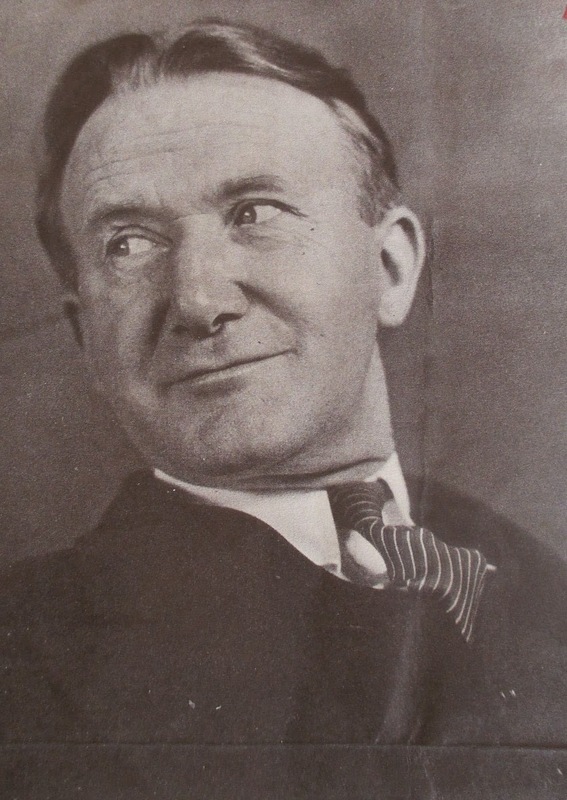 Edward Kuster opened the Theatre of the Golden Bough in June 1924. He hired Maurice Browne and Ellen Van Volkenburg, founders of the "Little Theatre Movement," to help him with directing, and in rapid succession they produced modern plays, classics, pageants and original productions. The Golden Bough had theatrical people from New York to San Francisco talking and in less than two years it was returning a profit. 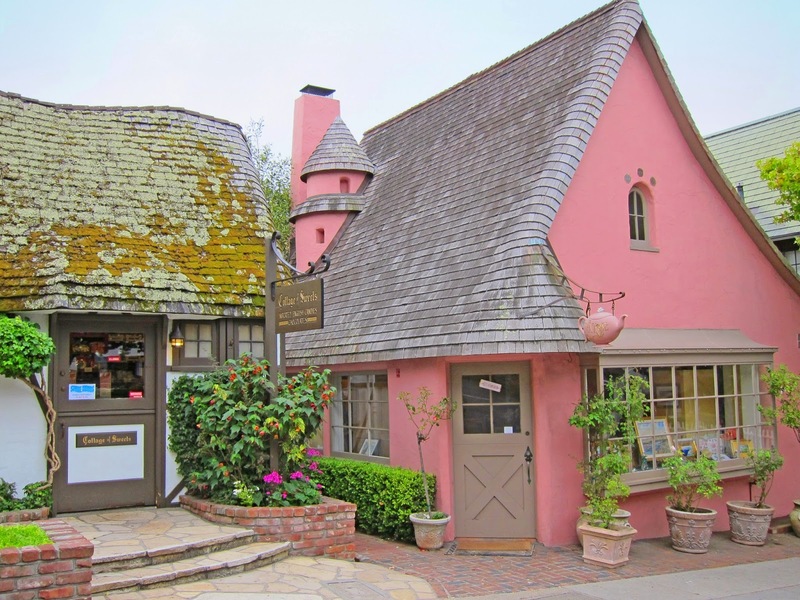 In 1930, Kuster bought out the struggling Arts and Crafts Playhouse (at the time owned by the Abalone League) on Monte Verde between Eighth and Ninth and used the site as an auxiliary to the Golden Bough Theatre. On May 17,1935, Edward Kuster presented "By Candlelight" his own adaptation from the original German of Siegfried Geyer's Viennese comedy. Critics hailed the production. Two days later on the 19th, with no production scheduled, the Theatre of the Golden Bough was destroyed by fire. Arson was suspected. After the fire, Edward Kuster left Carmel for awhile, opening the Golden Bough on Sutter Street in San Francisco. But the allure of Carmel called him back. In 1940 he returned to Carmel and to his auxiliary theater on the Monte Verde between Eighth and Ninth. He remodeled the ramshackle old frame structure he had used before - redesigning the proscenium, simplifying the decor and upgrading the front entrance. Kuster named his new theater the Golden Bough Playhouse. He showed motion pictures during the week, interspersed with plays one night each week. Kuster was back and his new playhouse was thriving. 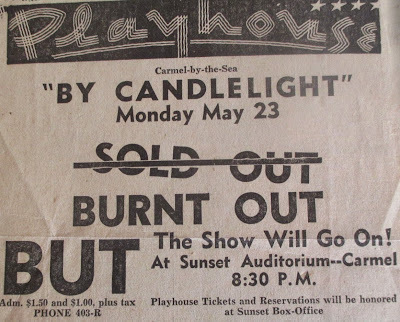 While Broadway was experiencing flops and dark houses, and Hollywood was in the deep doldrums, Carmel's Golden Bough Playhouse was playing to packed houses and scheduling extra performances. 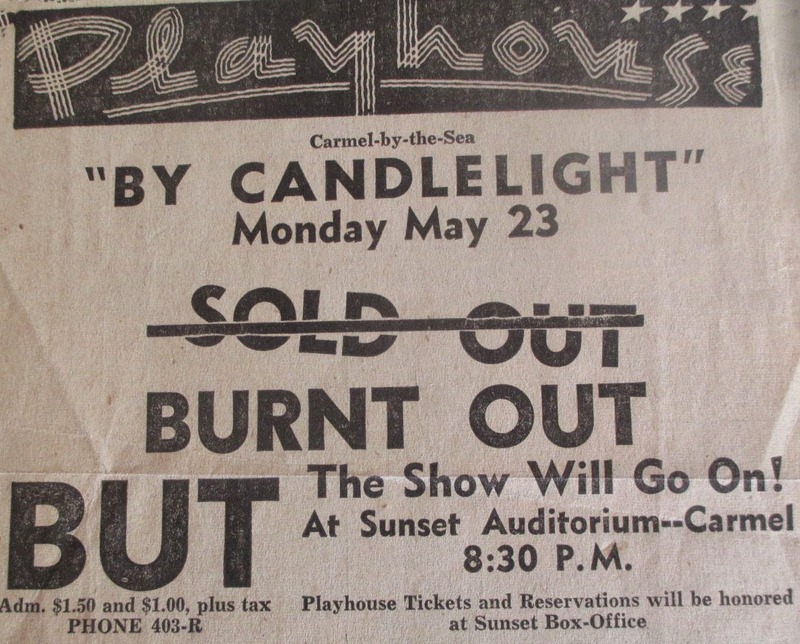 On May 16, 1949 "By Candlelight" opened to a capacity crowd. In the pre-dawn darkness of Saturday May 21, Carmel residents were awakened by the shrill sound of sirens. The play "By Candlelight" may have won rave reviews from critics but it would not prove a rewarding venture for Edward Kuster. Fourteen years to the month after the Theatre of the Golden Bough burned to the ground during the run of "By Candlelight," Kuster's Golden Bough Playhouse would burn to the ground during a run of "By Candlelight." Once again arson was suspected. The show must go on, and it did. Monday's show and the rest of the run was held at the Sunset Auditorium. to guide us from this dark wood." After the fire in 1949 the entire Peninsula called for the restoration of the Playhouse. For the third time the Golden Bough would be built. This time it would be by a corporation, with Kuster holding common stock and preferred stock subscribed to 400 local families. The third Golden Bough would have an auditorium seating for 299, a proscenium stage, and a lower level theater with arena seating for 150. 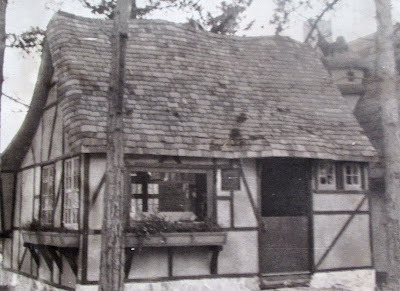 In October 1952, at the age of 74, Edward Kuster once again raised the curtain on his Golden Bough Playhouse on the west side of Monte Verde between 8th and 9th. 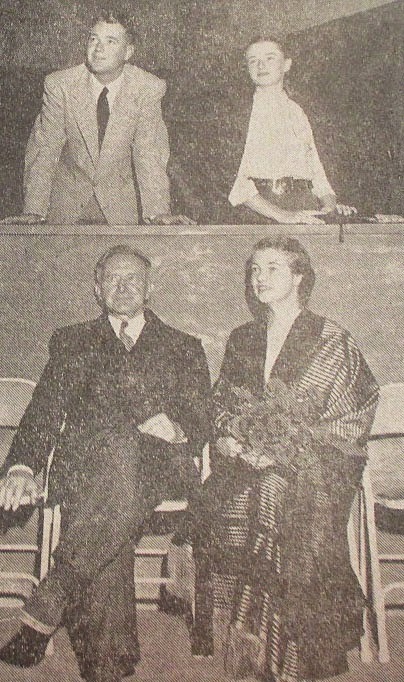 After thirty-five years acting and directing community Theatre (with a capital "T" please) Kuster's last appearance in a local drama was May of 1956 when he appeared as Grandpere in "The Happy Time." 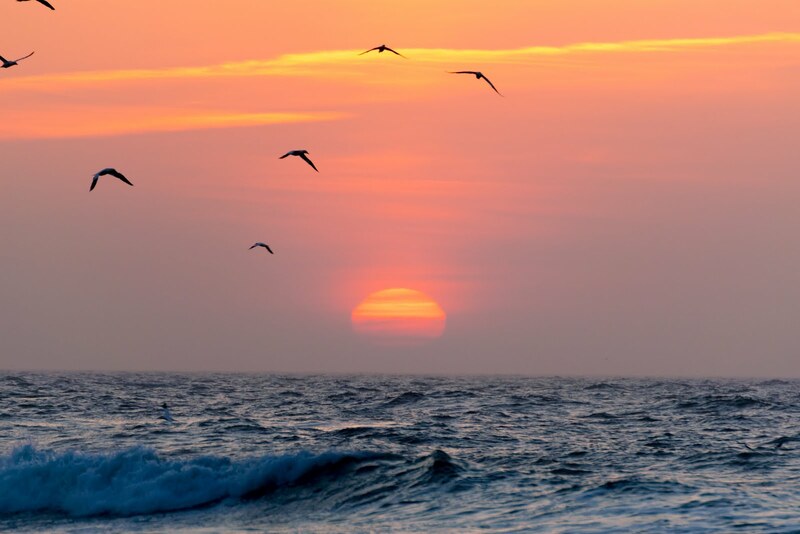 In 1957 Kuster resigned from the Board of the Golden Bough Playhouse it was time to "retire," travel and just be. Over the thirty-five years he devoted to Carmel Community Theatre, he personally directed 85 plays and acted more that 50 roles. Thanks for visiting. Until next time, Happy Adventures! For an interactive map and guided walking tour covering this and many of our other tours please be sure to download the GPSmyCity App from the iTunes store. 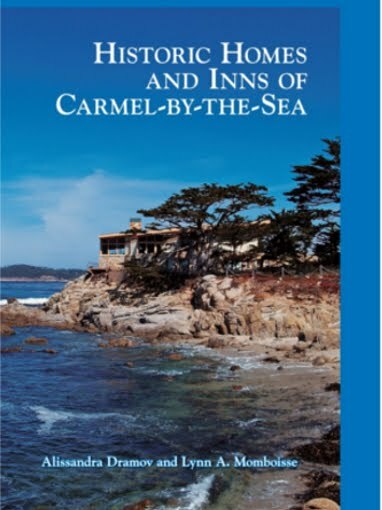 The App covers an extensive library of articles and walking tours from over 470 cities worldwide, and now features articles from Adventures of a Home Town Tourist covering Carmel and Monterey (with more cities on the way). Click the City Walks logo below to get your free App today. *The App is free, though a small charge will apply to activate some enhanced features. 1. Edward Kuster - Carmel Spectator, April 28, 1949. - Edward Kuster Collection Courtesy of Harrison Memorial Library Henry Meade Williams Local History Department. 2. Picture from the production of “Caesar and Cleopatra" - Edward Kuster Photo Album, Edward Kuster Collection Courtesy of Harrison Memorial Library Henry Meade Williams Local History Department. 3. Picture of Sphinx for "Ceasar and Cleopatra" designed by Jo Mora - Edward Kuster Photo Album, Edward Kuster Collection, Ibid. 4. Court of the Golden Bough 2012 - Photo L. A. Momboisse, www.carmelbytheseaca.blogspot.com. 5. Court of the Golden Bough Sign 2014 - Photo L. A. Momboisse, Ibid. 6. 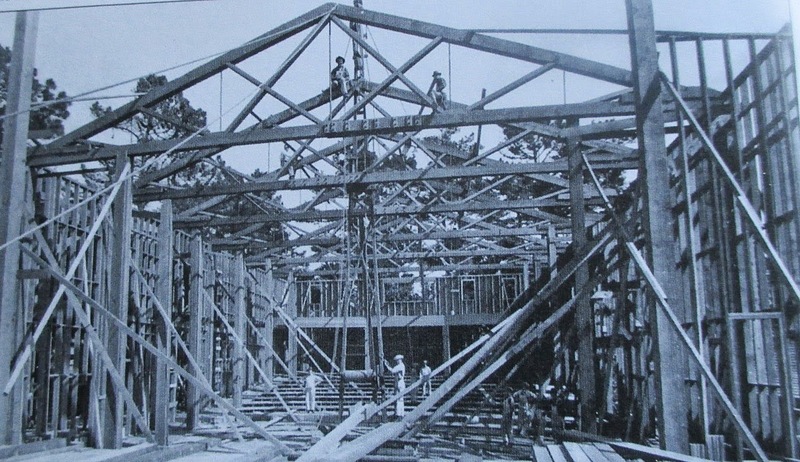 Building frame of Theatre of the Golden Bough (1923-24) - Edward Kuster Photo Album, Courtesy of Harrison Memorial Library Henry Meade Williams Local History Department . 7. Building of Theatre of the Golden Bough stage (1923 - 24) - Edward Kuster Photo Album, Ibid. 8. Inside Theatre of the Golden Bough - Edward Kuster Photo Album, Ibid. 9. Carmel Weavers Studio after being moved from Dolores and Ocean to front of Court of the Golden Bough. An addition was made in the back to act as a ticket booth. Today this is the Cottage of Sweets. - Edward Kuster Photo Album, Ibid. 10. Cottage of Sweets today with ticket booth in the back - Photo L. A. Momboisse www.carmelbytheseaca.blogspot.com. 11. Tea Rose Collection today - Photo L. A. Momboisse, Ibid. 12. Building added to the north side of the courtyard in 1925 by Lee Gottfried - Edward Kuster Collection, Courtesy of Harrison Memorial Library Henry Meade Williams Local History Department . 13. Front of Count of the Golden Bough. Theatre of the Golden Bough can be seen in the background - Edward Kuster Collection, Ibid. 14. Front of the Door to the Theatre of the Golden Bough (today this area is the arched courtyard that leads to the inner courtyard it can be found directly behind the Cottage of Sweets). Pictured here are the students and faculty of the School of Theatre of the Golden Bough in Summer 1924. Faculty members were Maurice Browne and wife Ellen van Volkenburg, Hedwiga Reicher, Rose Bogdanoff, Paul Stephenson, Betty Merle Horst and Edward Kuster. - Edward Kuster Collection Courtesy of Harrison Memorial Library Henry Meade Williams Local History Department. 15. Post Card of the front of the Golden Bough Playhouse 1947 by Charlotte A. Morton, Hometown Cards - Edward Kuster Collection, Ibid. 16. Program "By Candlelight" - Edward Kuster Collection, Ibid. 16. Edward Kuster and his wife Gabrielle cast in "By Candlelight" as Josef and Countess von Baltin. Edward Kuster Collection, Ibid. 17. Photo of fire - Carmel Spectator May 26, 1949 - Edward Kuster Collection, Ibid. 18. Photo of fire - Ibid. 19. Photo of fire - Ibid. 20. Edward Kuster in the ashes of Golden Bough Playhouse - Edward Kuster Collection Courtesy of Harrison Memorial Library Henry Meade Williams Local History Department. 21. Add for "By Candlelight" - Edward Kuster Collection, Ibid. 22. Kuster raises the curtain on the Golden Bough Playhouse October 1952 - Edward Kuster Collection, Ibid. 23. Program for "The Happy Time," - Edward Kuster Collection, Ibid. 24. Photo of Edward, Gabrielle, and their children Colin and Marcia October 1952 - Edward Kuster Collection, Ibid. (1) Edward Kuster Collection – Harrison Memorial Library Henry Meade Williams Local History Department. (2) Gilliam, Harold & Ann. Creating Carmel The Enduring Vision, (Peregrine Smith Books, Salt Lake City, 1992), p. 136. (3) Bostick, Daisy. Carmel Pine Cone, April 5, 1924. Edward Kuster Collection – Harrison Memorial Library Henry Meade Williams Local History Department. (4) Review of "By Candlelight" opening night Monday May 16,1949 - Carmel Spectator May 19, 1949 - Edward Kuster Collection, Ibid. (5) Excerpt from "Thank You" issued by Edward, Gabrielle, Colin and Marcia Kuster to the Carmel community May 23, 1939 - Edward Kuster Collection, Ibid. (6) Restoration Plan Golden Bough Playhouse Edward and Gabrielle Kuster, c. 1950 - Edward Kuster Collection, Ibid.